I haven’t always been passionate about personal finance. In fact, it’s really only been about a year since I’ve embarked on this journey. My dad is very financially savvy. He has been teaching me how to properly handle money my entire life. A lot of his lessons sunk in, but I never had much interest, much to his dismay. My attitude was fairly dismissive because I was just working minimum wage jobs. I’ve always been a “saver,” but for the longest time my idea of saving money was to not overspend and make sure there was still money in my checking account. I didn’t see much of a need to learn about saving and investing when it felt like I had no extra money. My understanding was surface level and I didn’t dive in and do my own learning. About a year ago, I got my first full-time job and these attitudes started to change. Being married and with a consistent income coming in, I figured it was time to take hold of our finances and manage them properly. I started reading numerous blogs, stockpiling books, listening to podcasts, and learning as much as possible. The more I learned, the more I loved it. I found myself wanting to pass this newfound knowledge along to other people. It came in the form of conversations with friends and coworkers, Twitter, and also writing (both for this blog and for my company DealsPlus). I am by no means an expert on personal finance, but my goal is to inspire and assist others to take hold of their finances and manage their money more effectively. Too many people either don’t care, or don’t know, how to manage money well. My generation is especially guilty of this. I’d like to change this by sharing what I learn along my journey. Personal finance doesn’t have to be difficult. It’s about spending less than you earn and trying to make that gap as large as possible. Once you create that gap, invest the difference diligently over time.Understanding the basics is very simple; it just involves taking some time to learn and actually care about how you’re handling your money. To give you an example of how simple personal finance can be, I am going to explain how we currently have our savings set up (we also invest into our 401ks at work, but for this post I just want to focus on savings). By keeping money in a checking account or savings account with a bank, you’re earning about .1% interest, while losing about 3% with inflation. This means that over time, your money is losing value. While these major banks have recognizable brands, this also means their priority is maximizing profits. This translates into lower interest rates and additional fees for their customers. I opened an online savings account at Ally Bank. They’re currently paying about 1% interest, so by simply taking five minutes to set up an account and transfer money over, you’re gaining significantly more interest. There are plenty of other places you can open an online savings account such as Barclays, Capital One 360, or SmartyPig. I chose Ally for the interest rate, strong customer service, and an easy-to-use mobile app. I also like that they’re an online bank with no physical locations, because it helped cut down the temptation to withdraw the money. By choosing a bank that conducts all of their business online, you’re avoiding the expenses that traditional banks find themselves having to pay to operate on a day-to-day basis. Ally is a highly reputable company and has been around for nearly 100 years, but since they don’t have such a recognizable brand name, they use the higher interest rate to help attract new customers. We currently have three different accounts at Ally, for three different purposes. (They’re all under the same login info, but they each have unique account and routing numbers). Once you have your account set up, automate your savings. I set up automatic transfers to each account, so it takes no discipline on my part to grow our savings each month. Now if an emergency happens, or when that car insurance bill is due, we have the money sitting there, waiting to be used. This method is so simple yet so key for my wife and I, in our financial situation. Currently, our biggest goal is to pay off the rest of our student loans; we accelerated that payoff process after getting our emergency fund up to a comfortable level. Saving up money to cover emergencies has not only been huge for our peace of mind; it has also shown us that we can set a goal and achieve it. 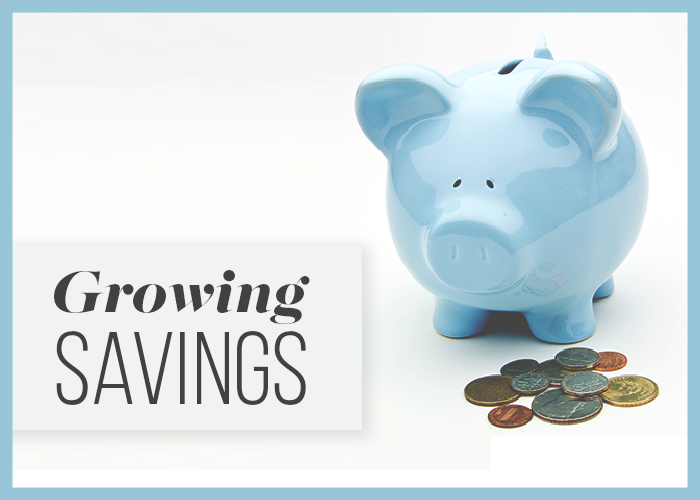 While it may seem obvious to people who are way past the basics, I discussed this savings strategy with three different people recently and it was helpful to them. Small steps can mean big changes in your life. This online-account savings strategy can be extremely helpful to those people who are just starting out. If you haven’t started saving money consistently yet, I would strongly advise you to put this plan into motion today. Note that the suggestions above are best for short-term savings goals. To make the most of savings that you won’t need to withdraw for 10+ years, it’s much better to invest it (and receive higher interest) than to let it sit in a savings account and generate only 1% interest. Feel free to post any questions or feedback in the comments section below, I’d love to hear your thoughts and assist in any way I can! A lifelong Bay Area native, Matt Spillar graduated in May 2013 from Fresno State with a Sports Marketing degree. He currently works on the Content Management team for DealsPlus.com and has worked four seasons with the San Jose Giants. You can read more of his writing on the DealsPlus blog, or his personal blog. He is also on Twitter.